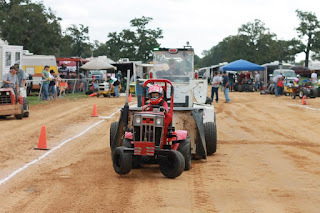 As the 2012 season comes to a close for the LSGTPA pulling teams, a brief off-season will allow for a moment of reflection, a salute to the 2012 Champions, and then the 2013 plans will take shape on the drawing boards. 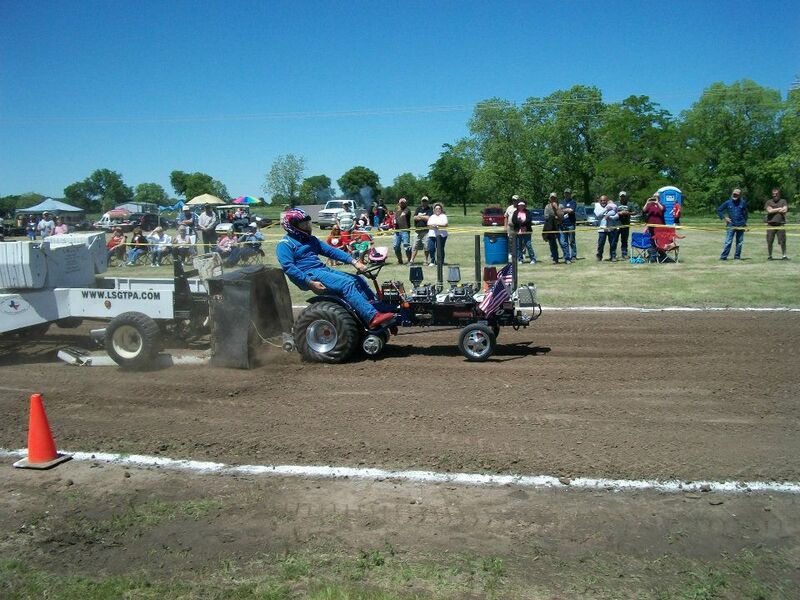 The past season began with an inaugural event in East Tawakoni. 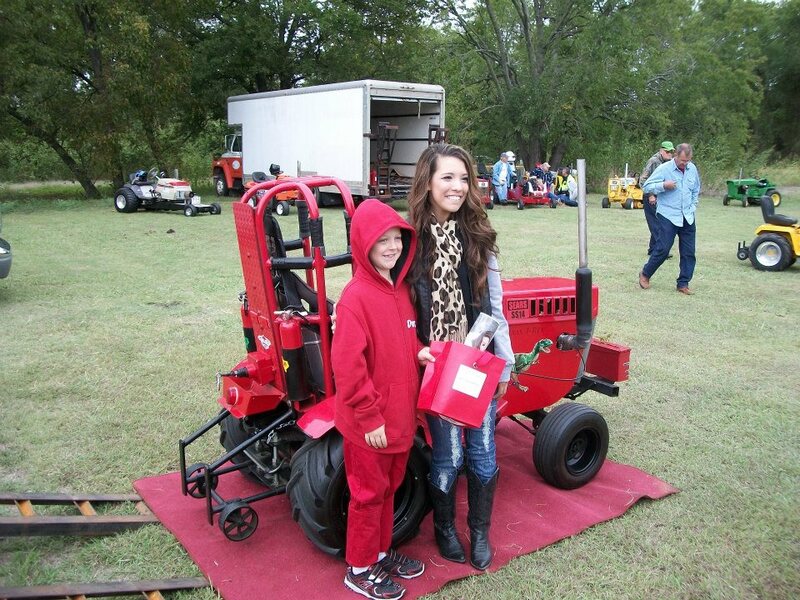 The event was hosted along the shores of beautiful Lake Tawakoni, near the headwaters of the Sabine River. A great turnout of fans cheered on local pullers John and Shawn Aufdenkamp, as they turned in a one-two finish in the Big Stock Class. 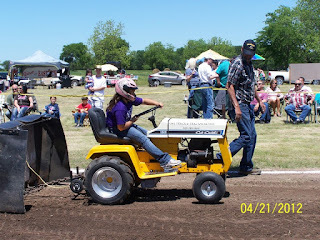 Katyn Yarborough started off her season with an event win in Youth Stock. 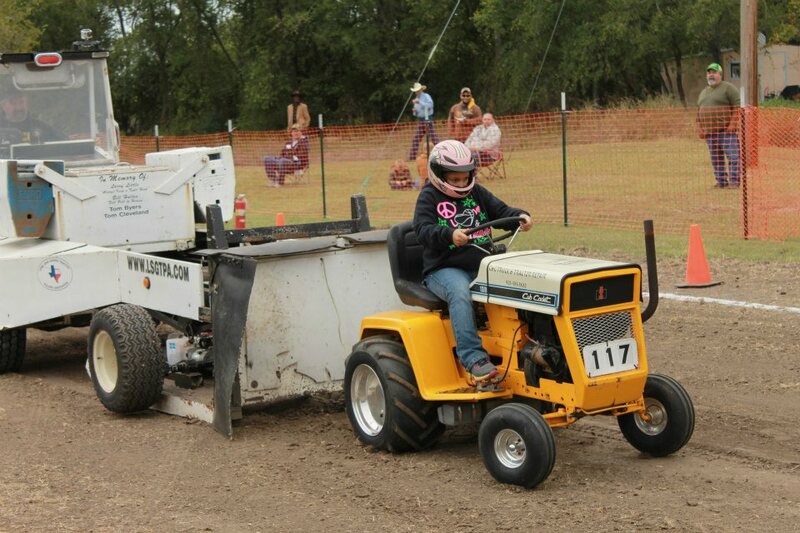 Katyn Yarborough takes the Youth Class win in East Tawakoni. Shawn Aufdenkamp pulls to victory at the Spirit of East Tawakoni pull. 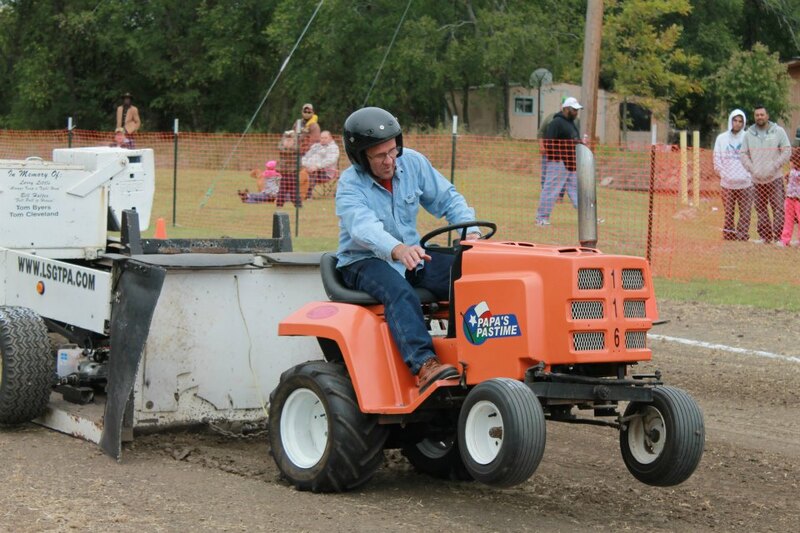 John Aufdenkamp aboard 'Three of a Kind' in East Tawakoni. 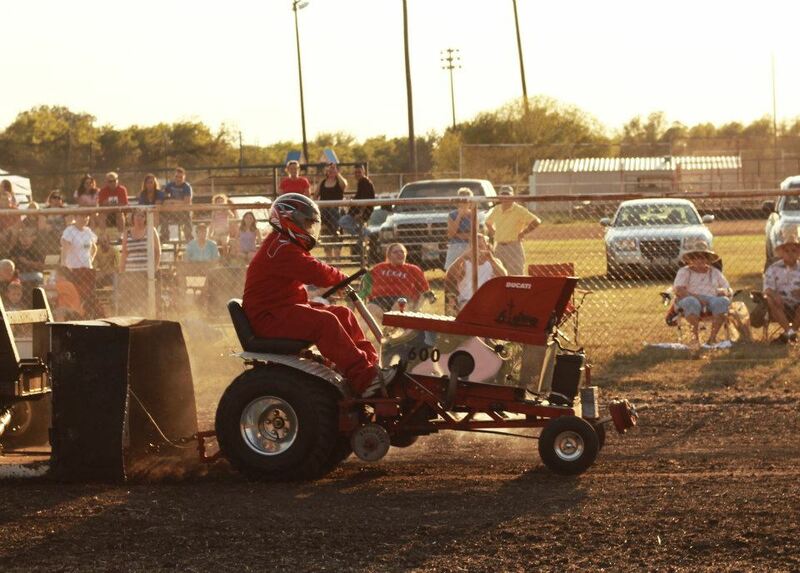 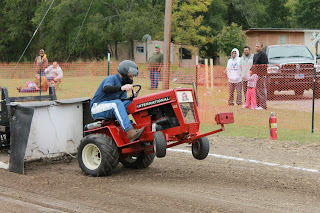 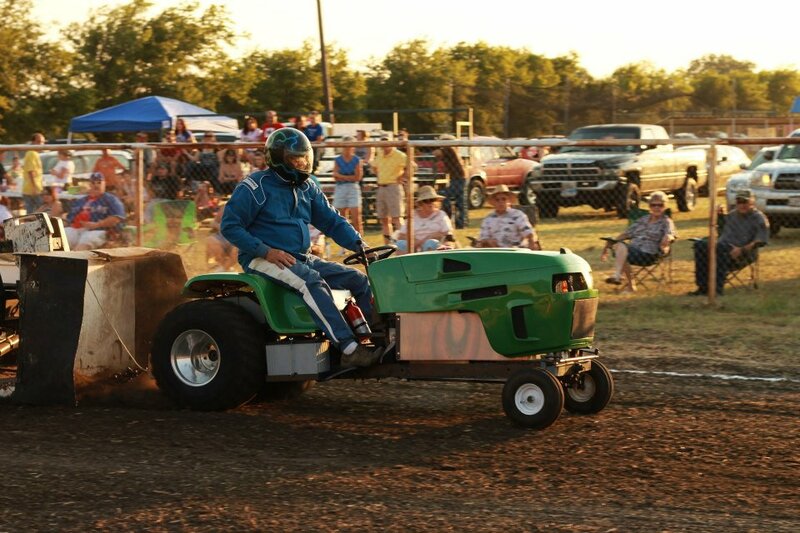 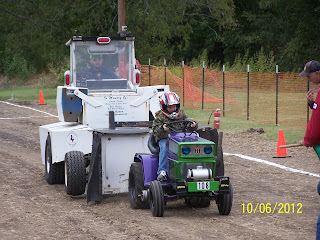 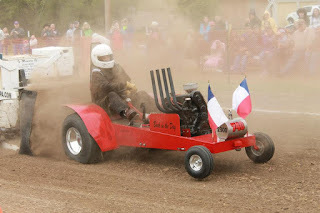 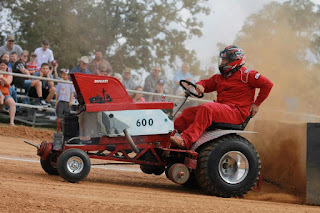 The month of May had the pulling teams in action during the Bonham Heritage Days celebration in Bonham, Texas. 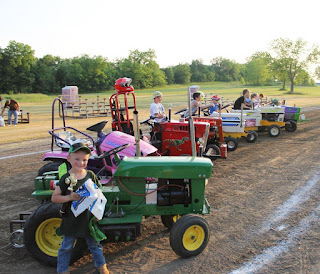 The Fannin County event had a record turnout of Youth Class competitors, who each received prizes donated by South Texas Implement. 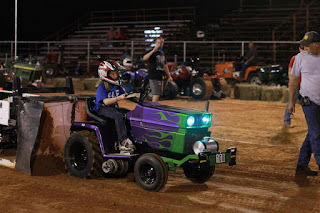 Local fan favorite and Youth Class alumni Kolby Langham, took home the Stock Class honors, going two for two at the first two events and taking the early class points lead. Kolby Langham takes the Stock Class title at his home track in Bonham. 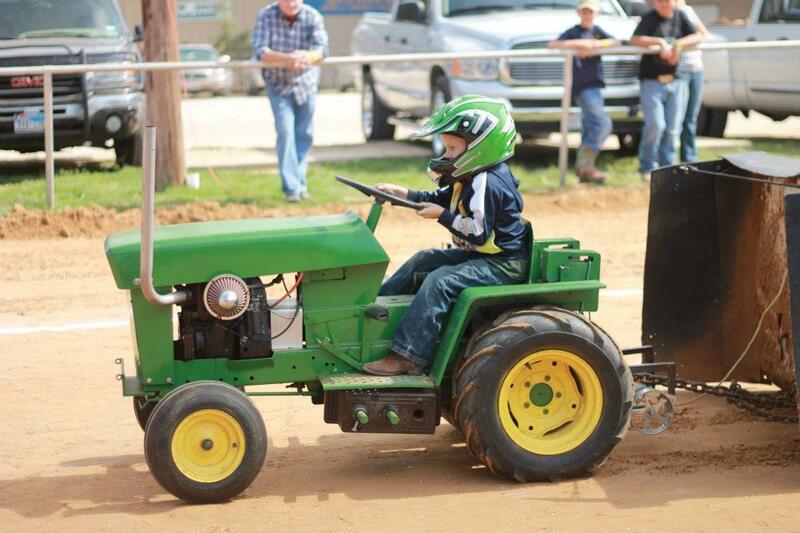 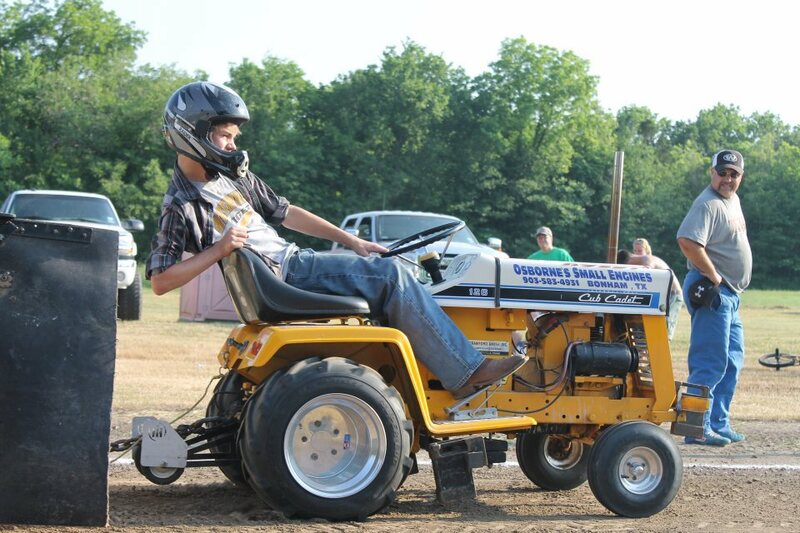 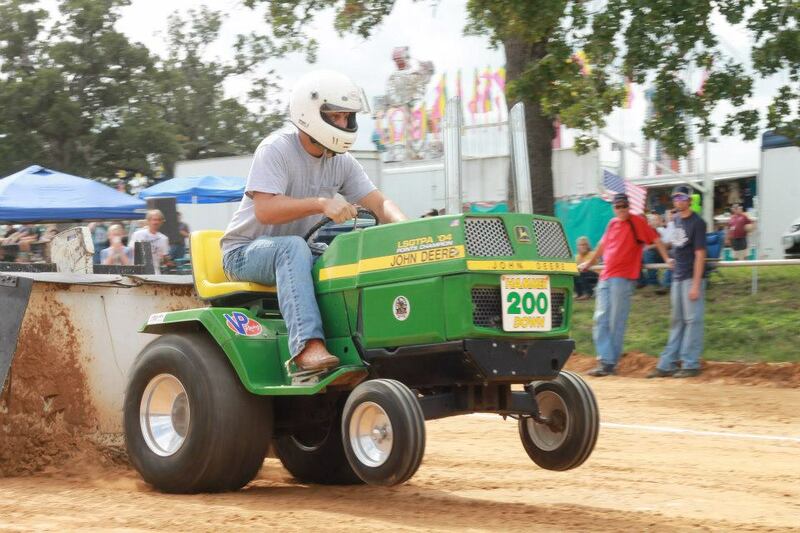 Jared Stephan tops a record field of Youth Class tractors during the Bonham Heritage Days. 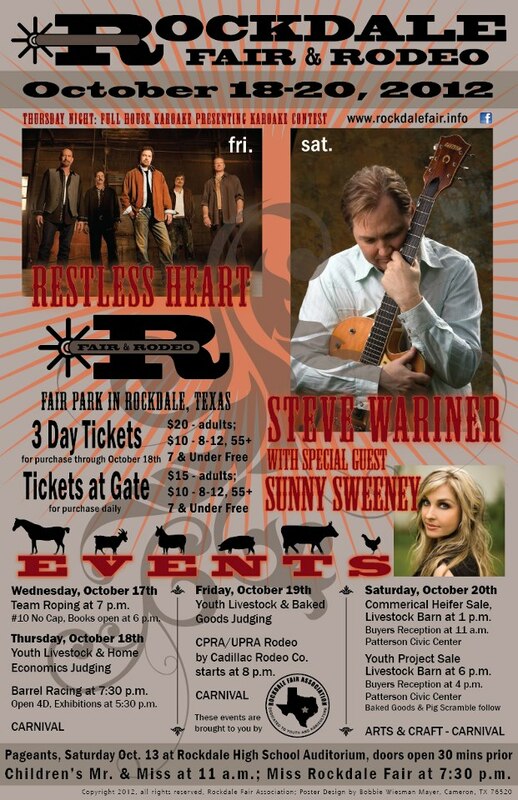 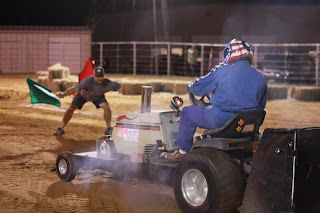 The Hunt County Fair event in Greenville, Texas is the LSGTPA double header, with pulls on Friday and Saturday night to open the fair festivities in June. 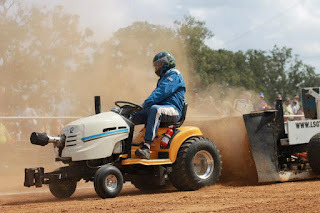 A week of rain provided a very wet track surface, but the show must go on and indeed it did. Performing artist Amber Carrington delivered the National Anthem for the event, in an awesome presentation on both nights. 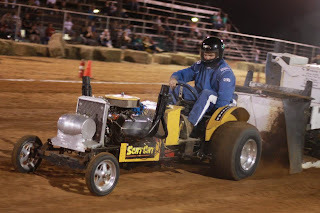 Kody Langham pulled off a double event victory during the weekend, in what would be a three in a row winning streak for the Youth Class competitor, aboard his Bonham Service Center Cub Cadet. Amber Carrington delivers an incredible performance of the National Anthem in Greenville. 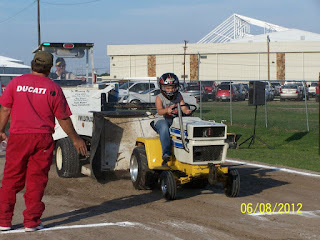 Kody Langham doubles up at the Hunt County Fair, with two wins in the Youth Class. 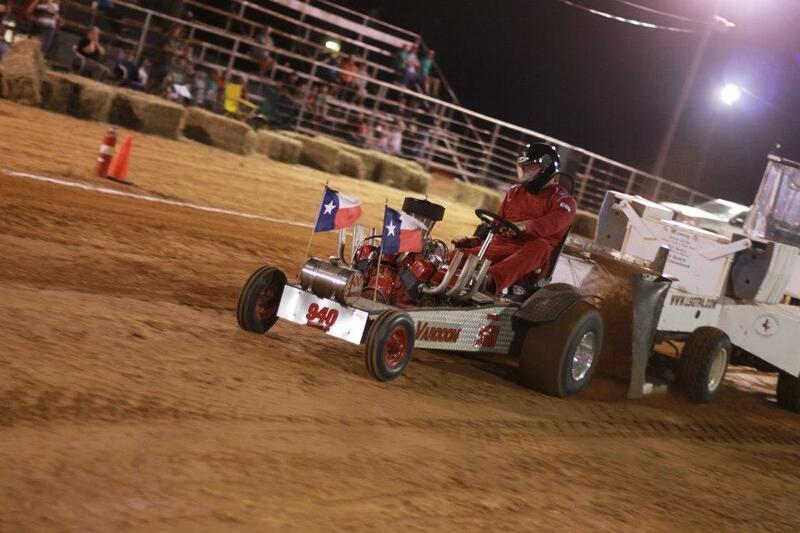 As August rolled around, the pullers rolled into Blue Ridge, Texas for the Bill Halter Memorial Pull. 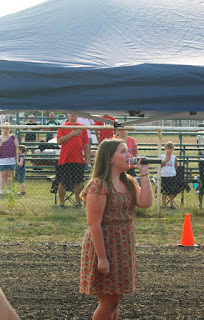 Bailey Melvin presented the National Anthem in her singing debut, in her first of two appearances with the LSGTPA pullers. Local favorite Sarah Moody took home the class win aboard her '99% Moody' John Deere in the Mini Rod Class. 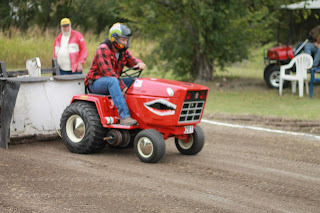 Ken Langham and the Bonham Service Center crew made the 'Going Green' electric powered tractor debut in impressive fashion. Bailey Melvin in her National Anthem performance debut at Blue Ridge. 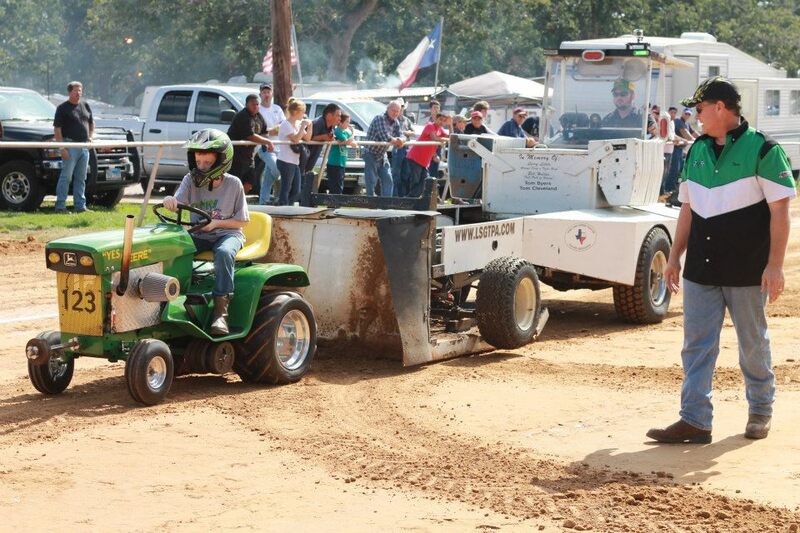 Sarah Moody pulls to the victory in Mini Rod, aboard her '99% Moody' John Deere. Ken Langham electrifies the crowd with his battery powered puller. 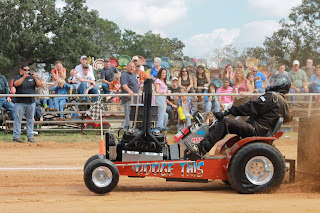 Steve Pierce used a win in Blue Ridge to pull his way to the 2012 Championship. 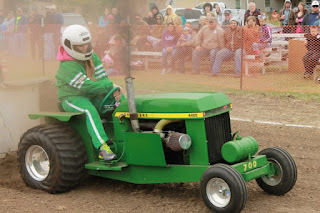 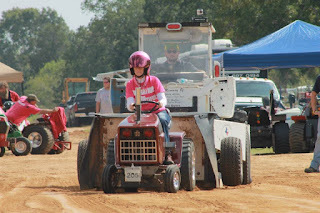 A rare rainy weekend in September forced the cancellation of the event in Bartlett, Texas, so the next pull was Old Time Saturday in Farmersville, Texas. 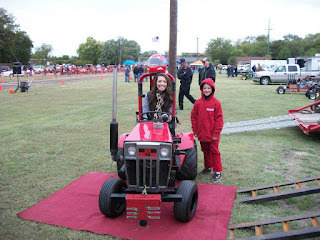 Temperatures were cold throughout the day, but the fans still showed up and the Boy Scouts capitalized on the conditions to sell hot chocolate. 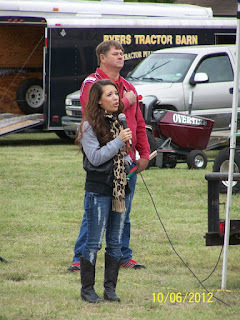 Nashville recording artist Ashliegh Lisset delivered an outstanding rendition of our National Anthem to start the event. Lisset made an appearance after an invitation by one of her fans, Youth Class competitor Lane Duncan. 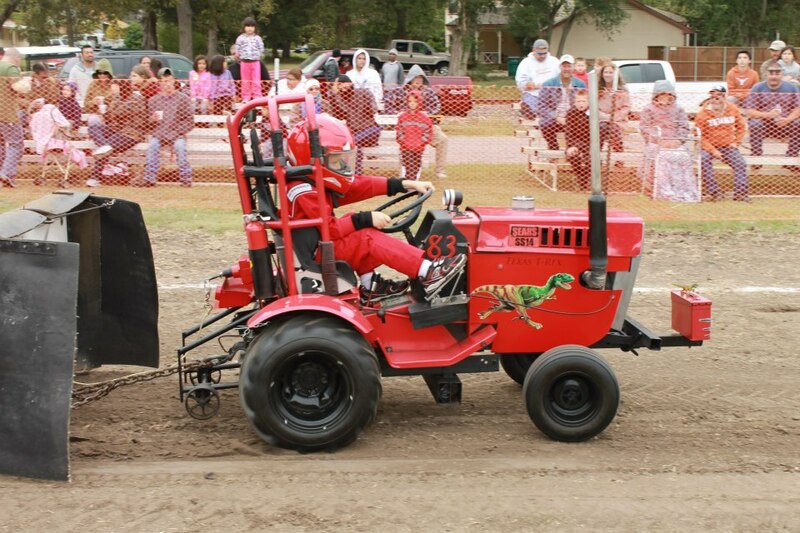 Lisset arrived sporting a #83 jersey, as good luck for Lane's #83 'Texas T-Rex' tractor. 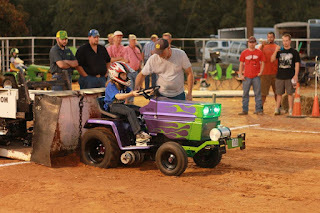 The move worked pretty well, as Lane scored a runner-up finish at the event, and presented Ashliegh with an honorary trophy. 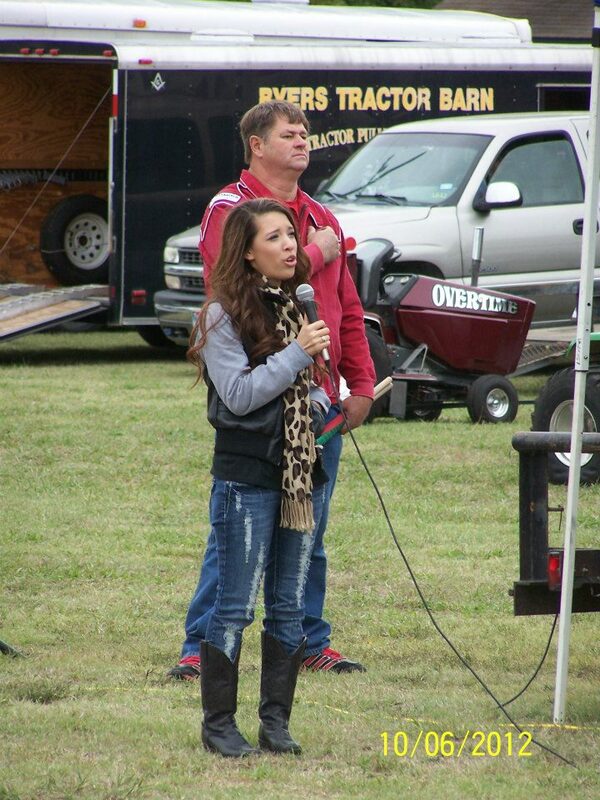 Ashliegh Lisset delivers an outstanding rendition of our National Anthem. Ashliegh Lisset with Lane Duncan in Farmersville during Old Time Saturday. Ashliegh Lisset sports a #83 jersey during her National Anthem presentation. 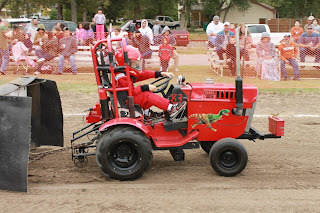 Lane Duncan pilots his 'Texas T-Rex to a runner up finish in Farmersville. 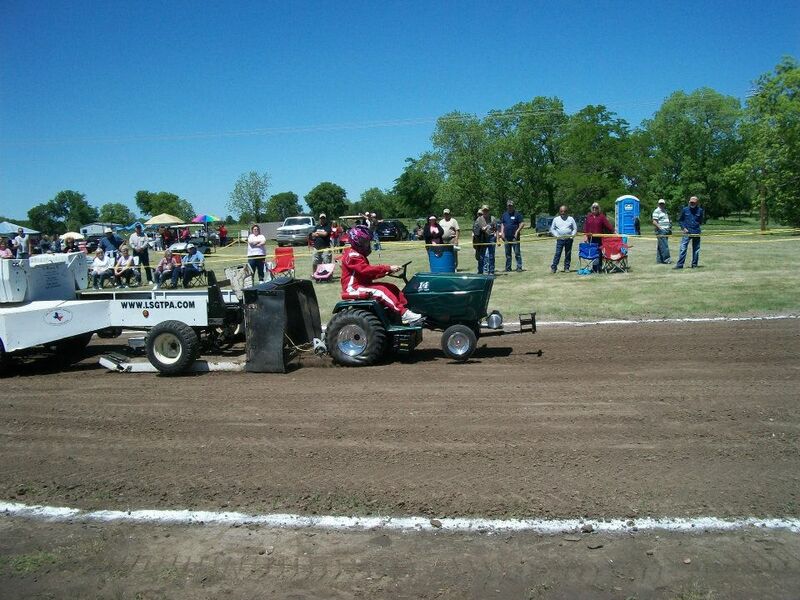 Tommy Kimmons hooked up and working at Farmersville. 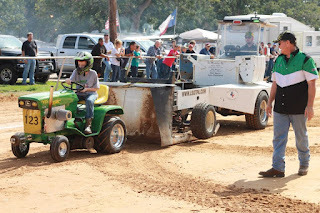 The pulling action continued in October, as the teams unloaded at the Woody Blanton Memorial Arena at Loy Lake Park in Denison, during the Grayson County Fair. Bailey Melvin again performed the National Anthem for the fans and pullers. 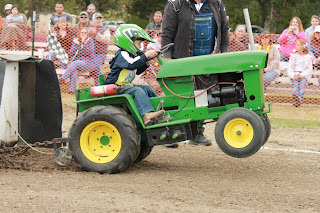 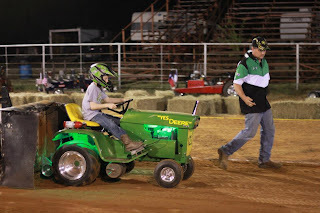 From start to finish, it was the Aidan Hovind show in the Youth Class, as his 'Yes Deere' tractor delivered two full pulls to take the title. 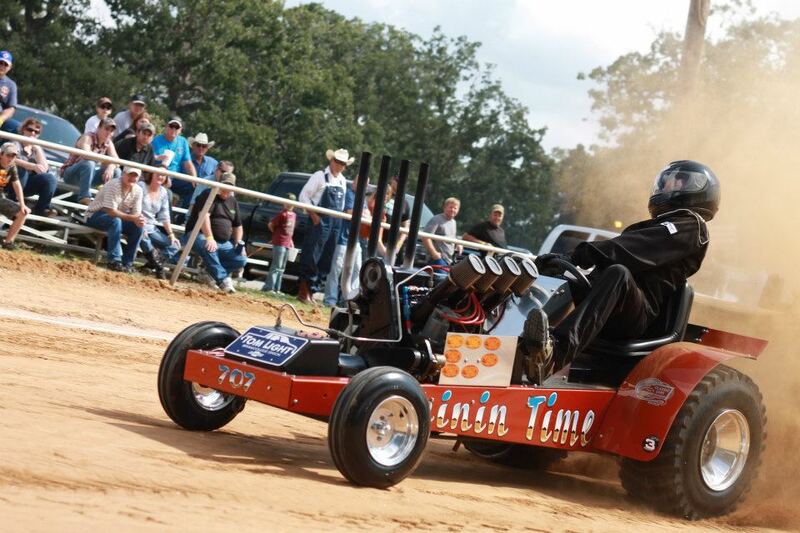 James Moody used a Full Pull and a class win to seal up the Super Rod Championship points. 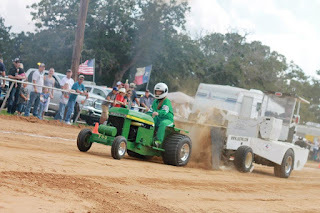 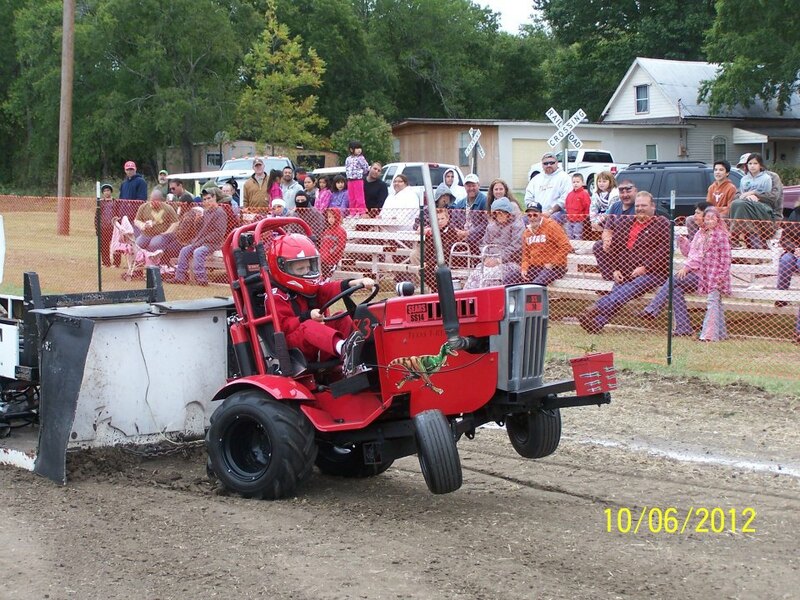 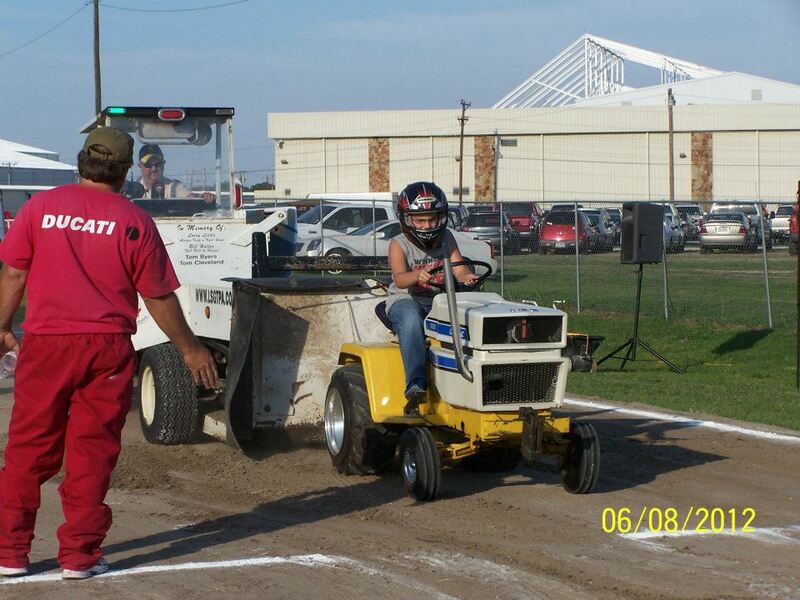 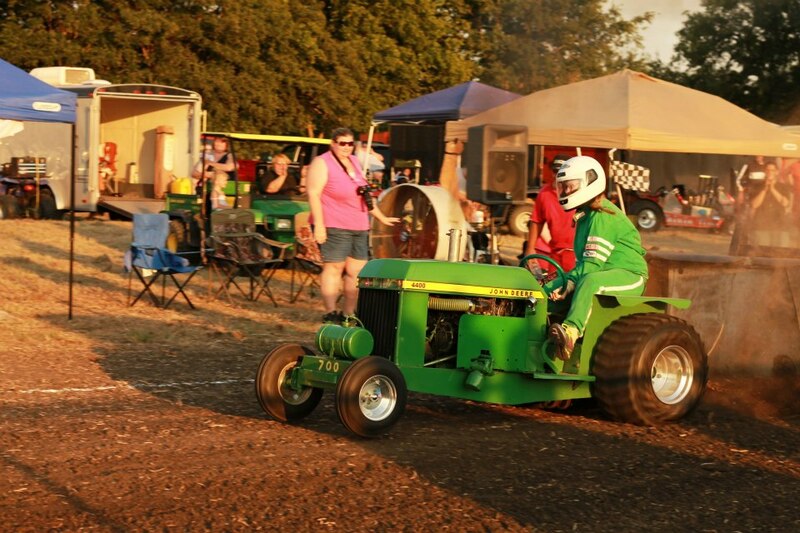 Aidan Hovind takes his 'Yes Deere' tractor out-the-gate, on a double Full Pull performance in Denison. 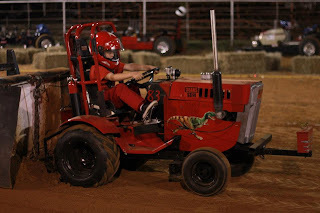 Cassidy Bramlett under the lights of the Grayson County Fair rodeo arena. James Moody records a Full Pull to close out the 2012 season and the points Championship. The final event of the season in Rockdale, is one of the largest stages upon which the LSGTPA pullers perform. 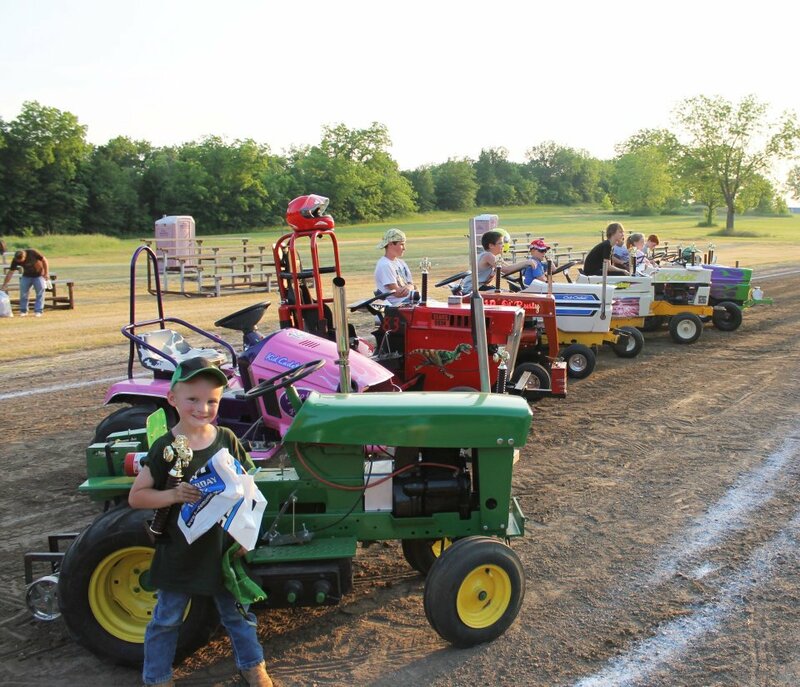 The pulling track itself, is a Texas State Horse Racing Hall of Fame Race Track surface, dating back to the early 1900's. 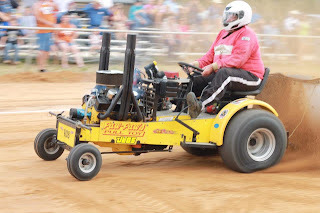 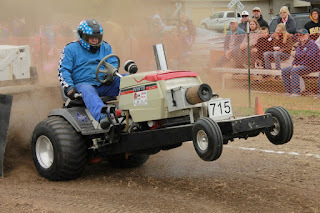 Local fan favorite Jerry Toland, aboard his 'Shinin Time' tractor, delivered a runner-up finish to seal his points lead and take the Championship title in the Mini Rod Class. Ken Langham finished the season strong with a win in Super Stock, with his wild alcohol burning Cub Cadet entry. 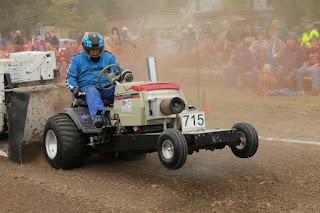 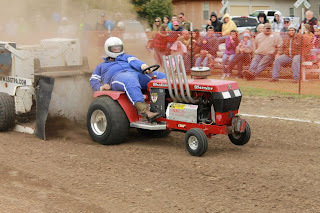 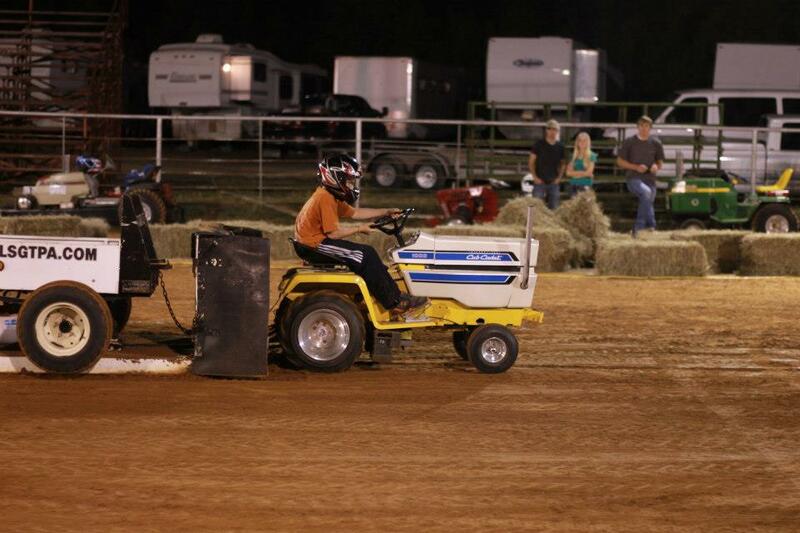 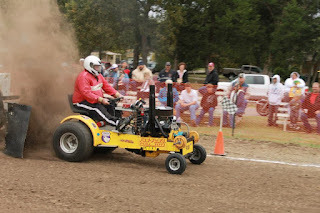 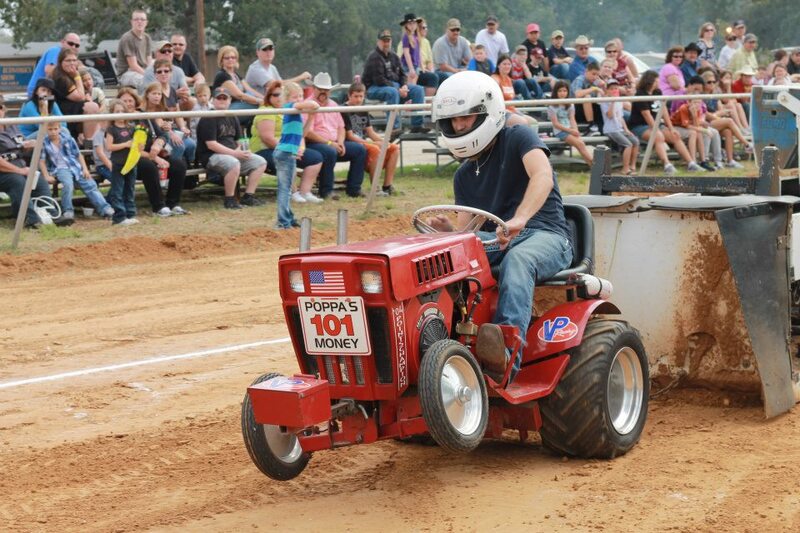 Jerry Toland takes the 'Shinin Time' tractor to a strong finish in Rockdale, to secure his 2012 Championship. 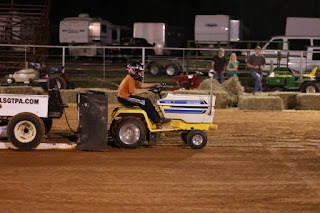 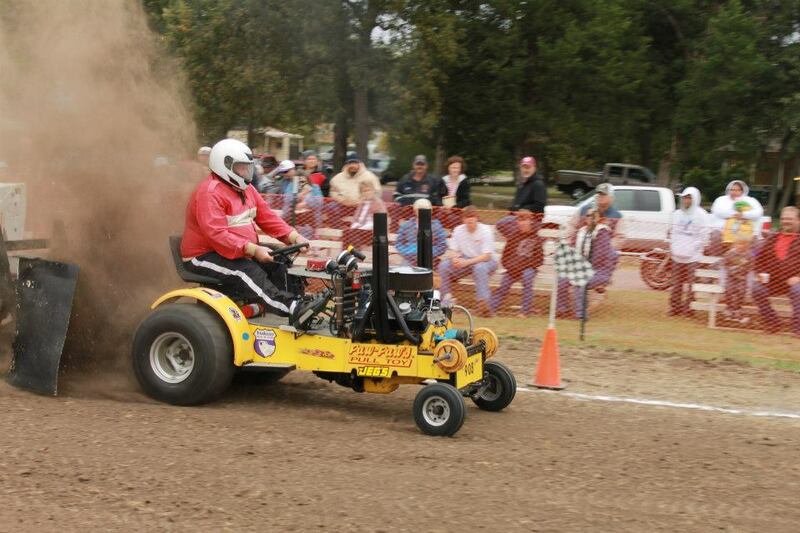 Ken Langham, Sr. thrills the crowd in Rockdale with his alcohol burning Cub Cadet. 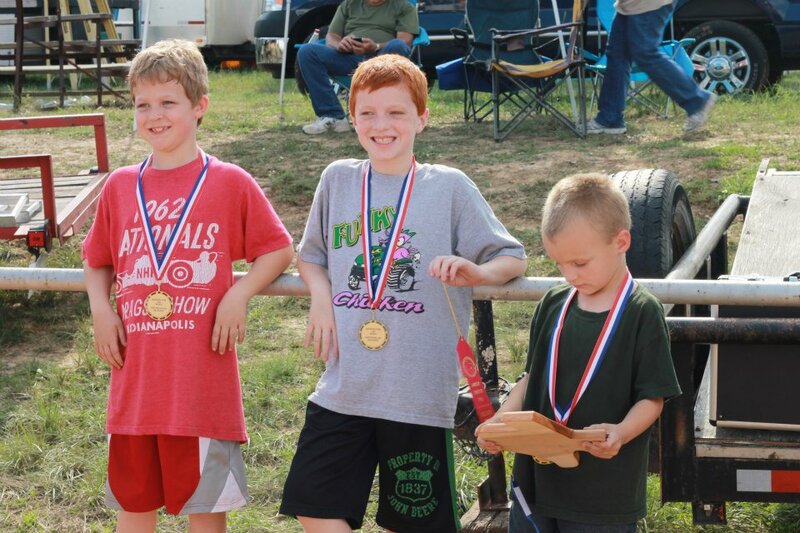 Lane Duncan, Aidan Hovind, and Jared Stephan in Rockdale. 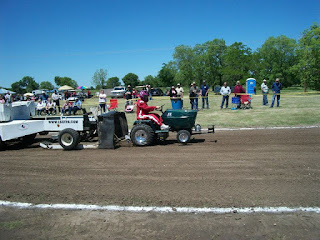 Thanks to Ashley Jesko and Richard Duncan for the photographs. 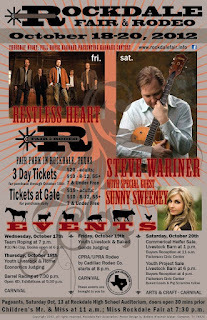 Thank you to all of the LSGTPA sponsors and friends that organize and fund the events. 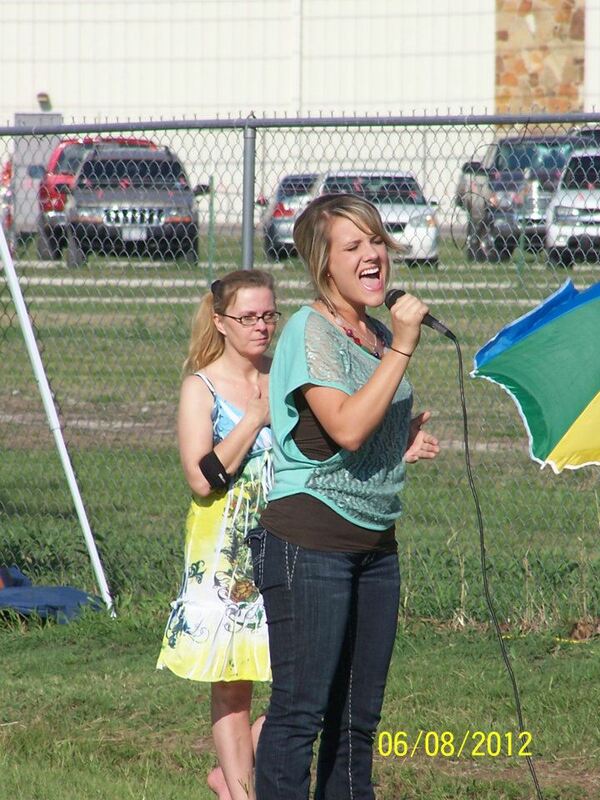 Thank you to our awesome National Anthem performers, Amber Carrington, Ashliegh Lisset, and Bailey Melvin. 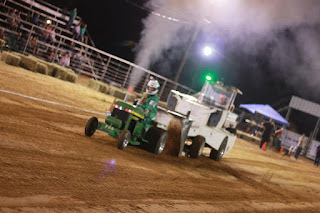 With the events in the books, the LSGTPA 2012 Points Champions were crowned. Ken Langham,Sr. 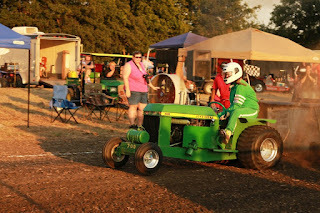 takes the Super Stock 2012 Championship hardware. Steve Pierce accepts the 2012 Big Bike Class Championship award. Aufdenkamp 'Champs', John and Shawn take titles in Stock Altered and Outlaw Classes. 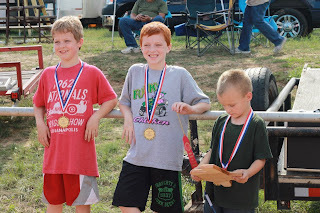 Jerry Toland is crowned Mini Rod Class Champion for 2012. James Moody takes the 2012 Super Rod Class Championship trohpy.